As demand for Ethernet services increases and network technologies accelerate towards packet-based protocols, a huge installed base of classical TDM equipment still exists at carrier and customer sites. Offering a platform for both future-proof Ethernet and legacy TDM services, ULAF+ now provides a flexible solution for a smooth migration to packetbased networks: the new managament and concentrator plug-in «MCU». 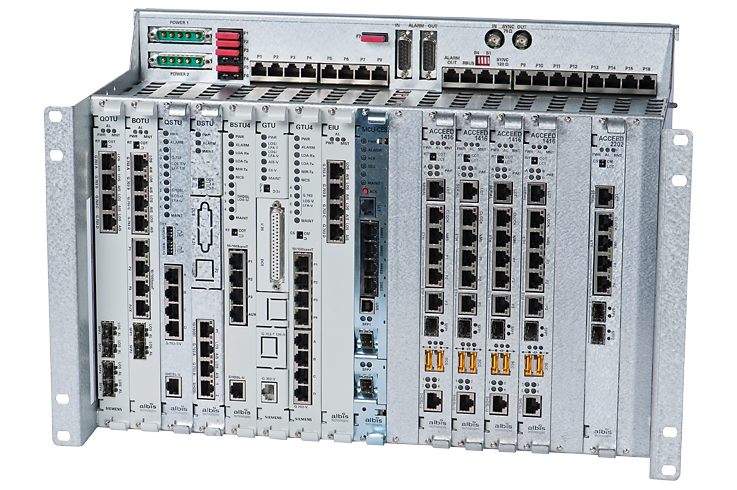 In addition to its operation and maintenance features, this plug-in card is designed to concentrate and carry both Ethernet and 2 Mbit/s leased-line traffic over packet-based networks.